Google's Instant Preview - how does it affect your website? Google Instant Preview is a new feature following the last September’s introduction of Google Instant which completes searches while they're being typed into Google's search field, with the goal of considerably reducing time spent searching. Google's own research has revealed that on average searchers using Google Instant Preview are 5% more likely to be satisfied with the search results they click after seeing a visual preview next to the organic listing. Google Instant Preview basically gives users the facility to view a website before they visit it. Google accomplishes this by taking a screenshot of every webpage in its index and giving users access to it via a magnifying glass icon that sits to the right of every search result. When a user clicks on the magnifying glass icon, a screenshot of the webpage in question will appear to the right of the search result listing - a snapshot view of the website page without actually having to visit the webpage. One of the key elements to Instant Previews is that Google sometimes highlights a section of the page where the page description occurs. This becomes a useful feature when you're trying to find information on a specific person on a page that lists dozens or hundreds of people. Instead of having to scroll through the entire page to find the person, you can just look at the Instant Preview and see where the information appears on the page. "We realised early on that this kind of experience would only make sense if it was lightning fast. Not long ago simply downloading an image could take 20 or 30 seconds, and even today many websites take four or five seconds to load," Raj Krishnan, Product Manager wrote in the Google Blog. "With Google Instant Preview, we match a search query with an index of the entire web, identify the relevant parts of each webpage, stitch them together and serve the resulting preview completely customized to your search--usually in under one-tenth of a second." Search Engine Optimisation (SEO) expert Peter Bowen says, "while Google Instant Preview is designed to speed up the searching process what it actually does is to speed up the decision-making process of choosing whether or not to click on the link by previewing the visual screenshot of the resulting webpage." 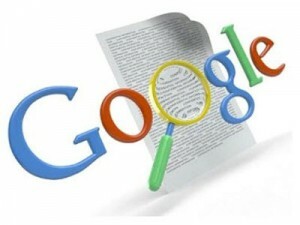 "Google currently provides a lot more data to help the searcher. At one time search engines just displayed the first two lines from a webpage under a search result, but now they include information like site links, date, cached content, jump to links and even Google Places." Instant Previews can be helpful for many kinds of tasks. For example, say you looked at a page before and need to find it again - with a preview, you can tell if any of the results look familiar. Or perhaps you're looking for an official website - look for a logo and formal style and you'll probably be able to identify it. Or maybe you're looking for a how-to guide - it's easy to spot a page with clear illustrations and step-by-step instructions. "However, clicking on the magnifying glass icon is less of a commitment than clicking on a link, and you still need to convince the searcher that it is worth their time to preview a website" says Peter Bowen. "Therefore it becomes more important than ever to have a well defined and well written description of what the website page is about and it has to fit within the 150 character limit. So the Meta content description is what you will have to change and be aware of here." Flash is not SEO friendly because it cannot be read by search engines and is even worse for Instant Preview as it shows as a black rectangle and cannot be rendered. The same is true for video files that also display a black rectangle in the preview, so consideration of this is important too. So what does all this mean? Well, we have to start thinking about the overall page layout and if it looks good at postage stamp size or if it is just a blur of text with no images to make it look appealing. This means creating pages that pay more attention to navigation, titles and headers, spacing, colours and objects, such as “click here” buttons. Now, having a page that looks good with relevant titles now may count as much as the content on the page itself. Google Instant Preview is here to stay and designed to make the search selection process easier and according to Google faster, but in the end, good SEO practices are what is going make the difference of whether or not you get discovered on the search engine results pages. If your website has been online for sometime and is not regularly updated, it’s probably time for an SEO check-up – talk to us about what is involved.